When students are able to make connections for themselves I find it truly exciting. I think moments when students turn the corner and begin to reason, become more human and less like a robot a celebration should occur. 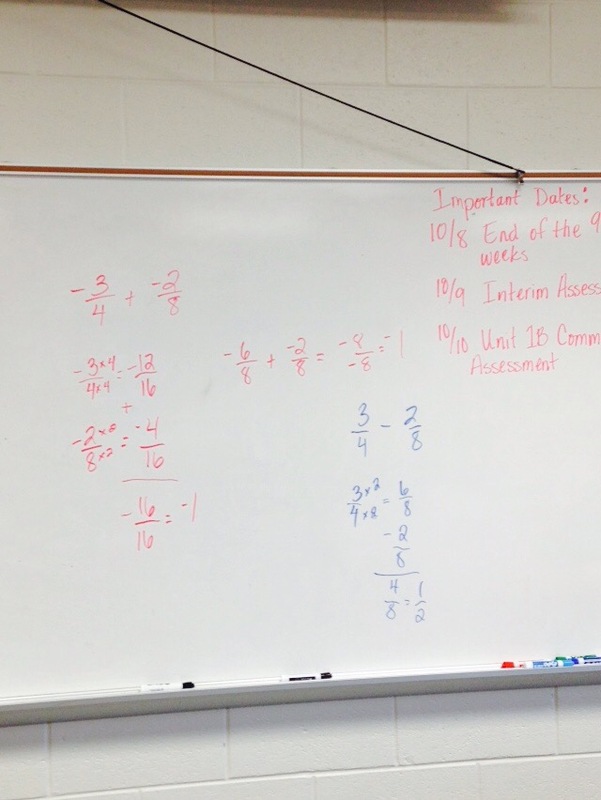 This past Friday a group of students made the connection between the area model and factoring and simplifying expressions. It’s a connection the task they worked on earlier last was promoting but I’ll tell you not every student did so. Someone once told me, that kids don’t naturally make conclusions or summarized math concepts without teachers making it plain for them. 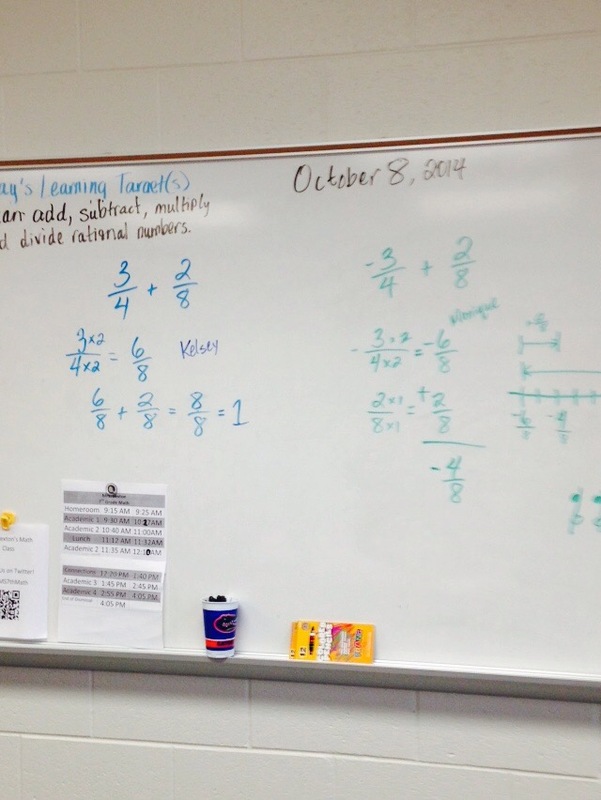 Picture above is the sequence of thoughts these students had in regards to factoring and simplifying expressions. The thought begins on the right and travels left. I was the scribe and facilitator through the process but NONE of the thoughts on the board are mind. The most beautiful part was right at the end when students were given the expression 5x + 20 and asked “what would you do with this?” Several of the students jumped describe the how they would create a large rectangle, split it and label the areas 5x and 20. They went on to reason that 5 had to be the width of the entire rectangle because the first area of 5x and if x were the width, the other area would contain an x. With enthusiasm they explain why the length was x and 4. From that, they wrote the factored expression. When given a factored expression, with even more excitement they explained their strategy of using a rectangle to help simplify. 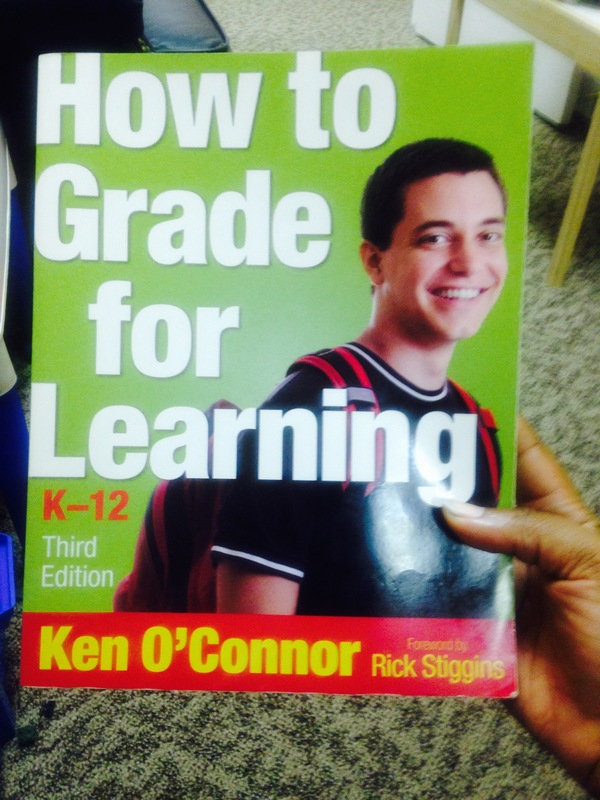 One thing I absolutely love is in the middle of an assessment, a student will raise their hand and say, “You forgot to take the charts down.” I respond with a bright smile and whisper, “I know, it’s okay.” A feeling of joy wells up inside of me because its conformation they are using the anchor charts. If you walk into my classroom the only manufactured posters you’ll find are the one required by administration to post. 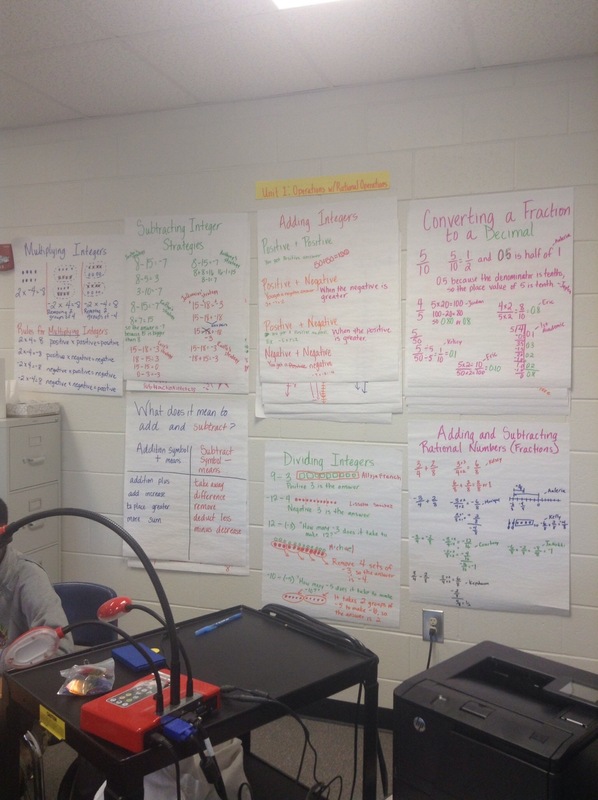 All other writing on the wall is student thinking from…wait for it…this school year! 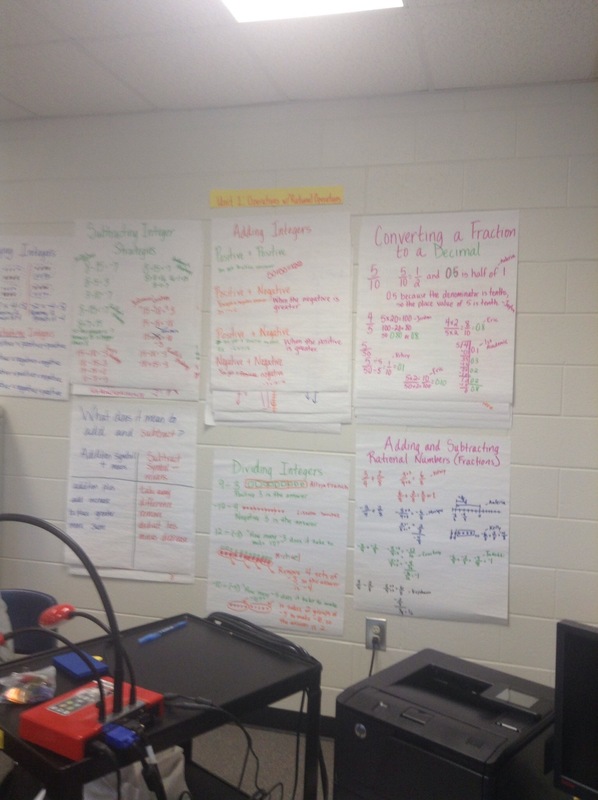 If you’ve never heard of anchor charts, a brief definition is chart paper housing and displaying the thoughts and strategies of students. 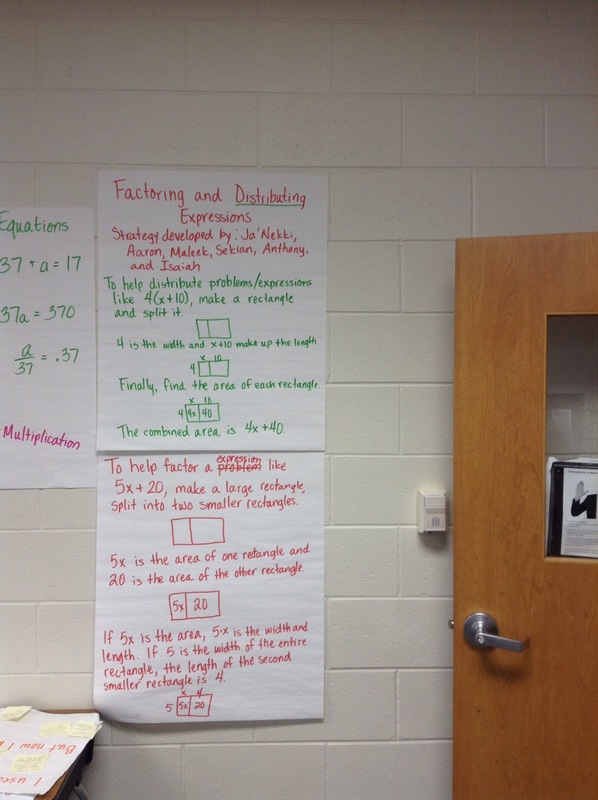 Often times, like mine, the charts are created by the teacher, but should ultimately be created by students. 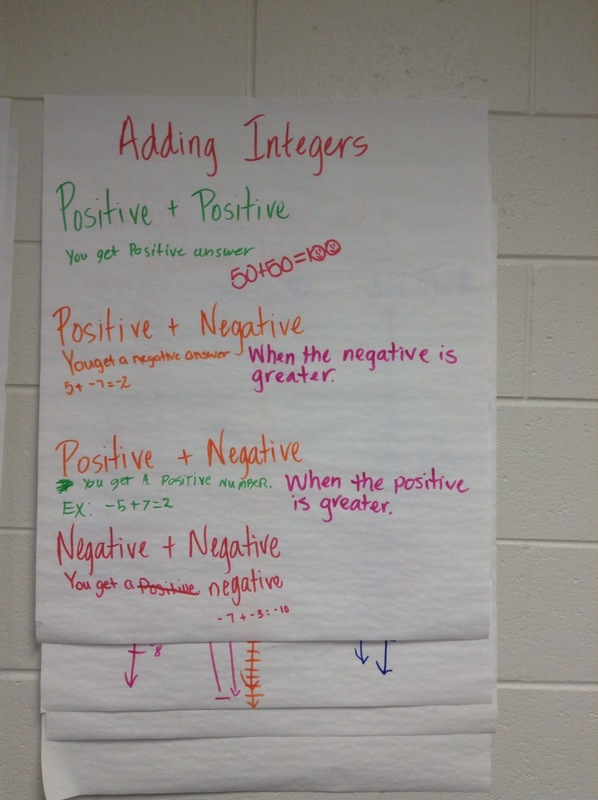 Whether it is after a number talk or during the closing of my lesson, I snap a picture of the thinking and transfer it to an anchor chart and literally hang it up in the classroom. 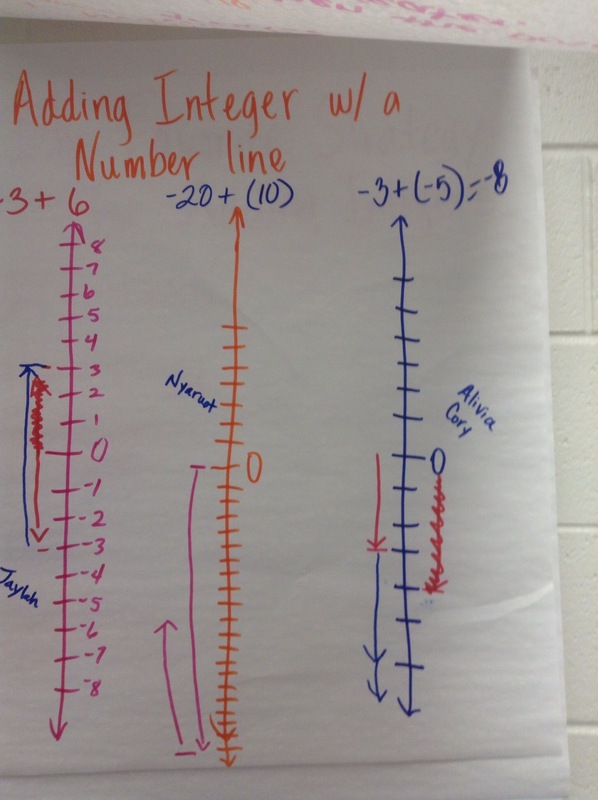 Students are able to view the charts from their seats or walk up to the chart to review and make sense of what they see. Don’t get me wrong, procedural fluency is very necessary. However, if procedural fluency is your only means of understanding you have a huge problem. This problem extends pass performing well on a state assessment. When procedures fail you, what do you have to rely on but conceptual understanding. An Englishman put it this way, “The only place procedural understanding brings success with problem solving is in American classrooms. In all other cases, we must rely on our conceptual understanding.” (I hope I quoted you accurately Phil.). 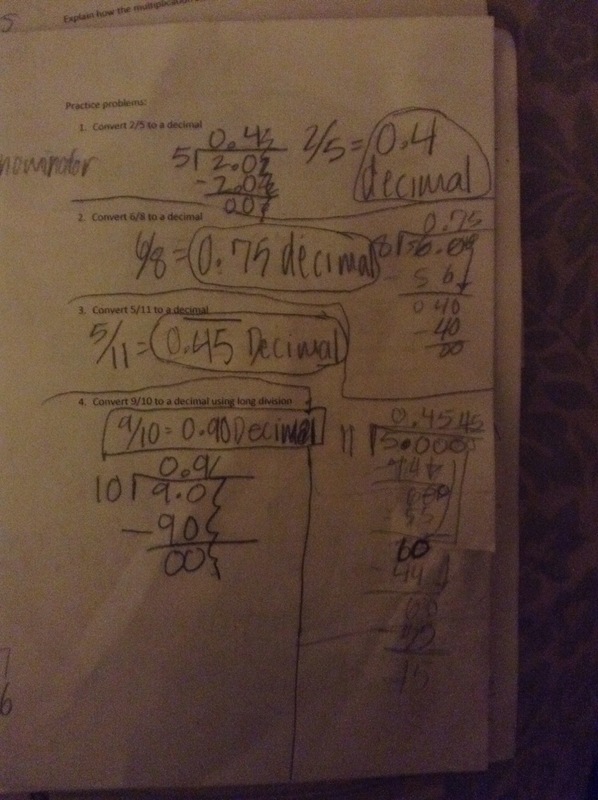 So when I discovered that majority of my students were procedurally fluent with converting fractions to decimals and didn’t understand at all why the rules they applied so successfully even worked, I couldn’t turn a blind eye. In the midst of feeling like I was ready to give into the ways of rules and tricks without understanding, I took a stand. I would not give up on them and I would not give up on my beliefs. I thought it would be the bridge to understanding for my kids. I figured if I started from the bottom, the basics, with modeling things would click. What I discovered was they had minimal experience with modeling. 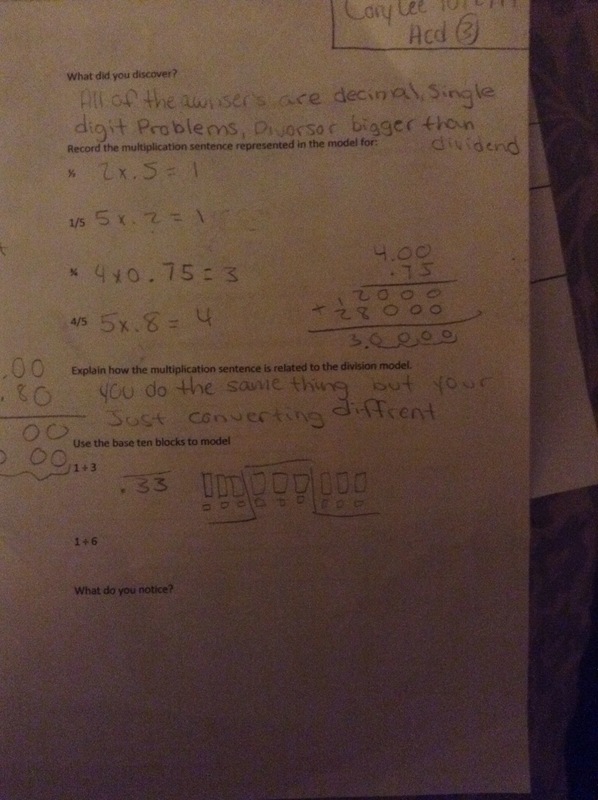 Most didn’t know where to begin with setting up a model to demonstrate division. They didn’t get the idea of the physical manipulation of the blocks showed the division. 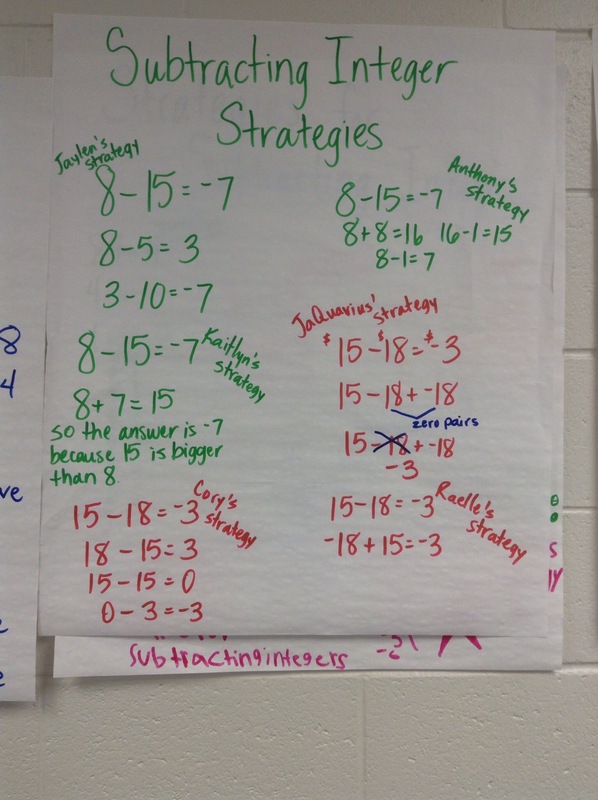 Instead they thought they needed to represent the dividend, divisor as well as the division symbol. I also discovered they were limited in their reasoning abilities due to desire, experience or cognition. Needless to say, of the papers I’ve reviewed, no one was able to make the connection between why the rule in which they are proficient works. I’m not giving up though. My next steps will be more explicit. Not explicit in telling them why it works. 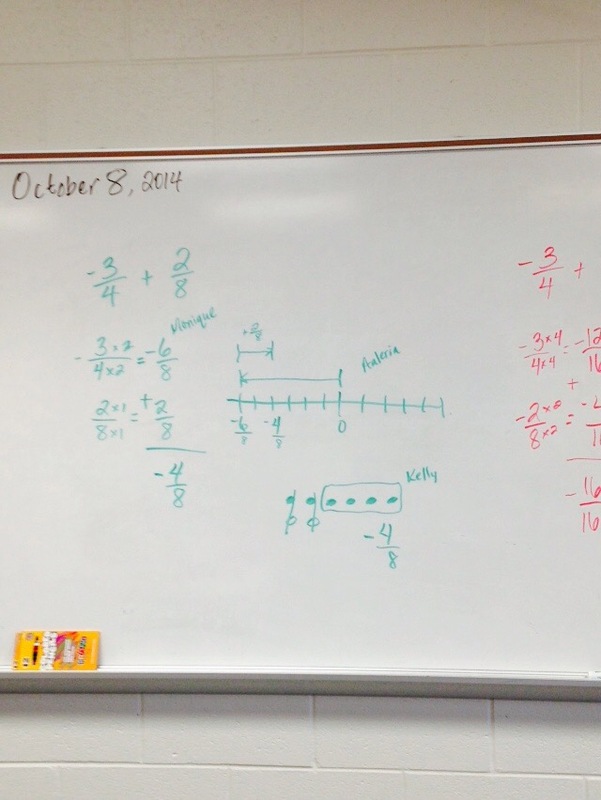 But explicit in my questioning as we model the division of 1 divided by 4. “What can we do to physical put 1 whole into 4 groups?” Students should conclude the whole can be exchanged for ten tenths. Draw the model. 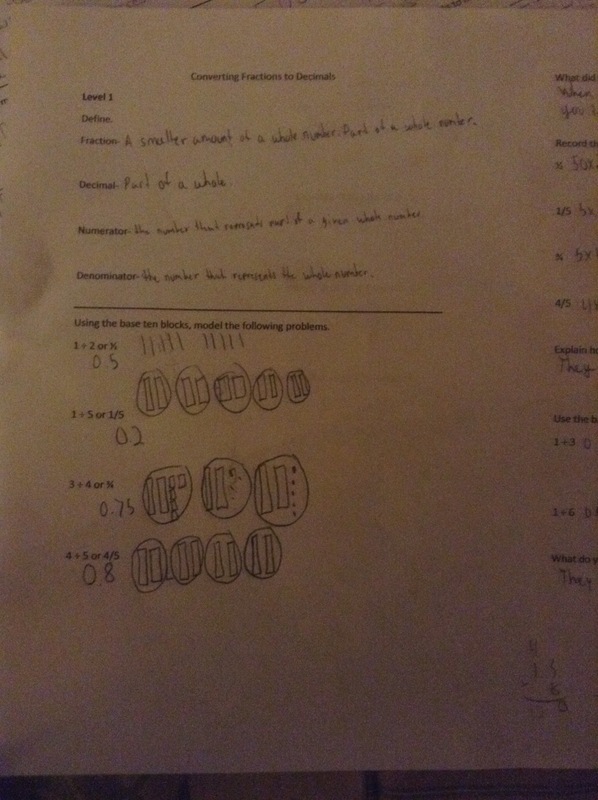 “What number is represented by the model?” My goal is for students to see adding the decimal point and zero is the ten tenths needed to physical put 1 whole into 4 groups. So the problem doesn’t become ten divided by 4 but actually 10 tenths divided by 4. Which is still 1 divided by 4. I know moving forward it will be important to spend time working with modeling with manipulatives . I’ll probably end up using some fifth grade tasks from the GA math frameworks to help activate prior knowledge through the use of modeling with manipulatives. Fighting the “good fight” can be a rewarding thing. 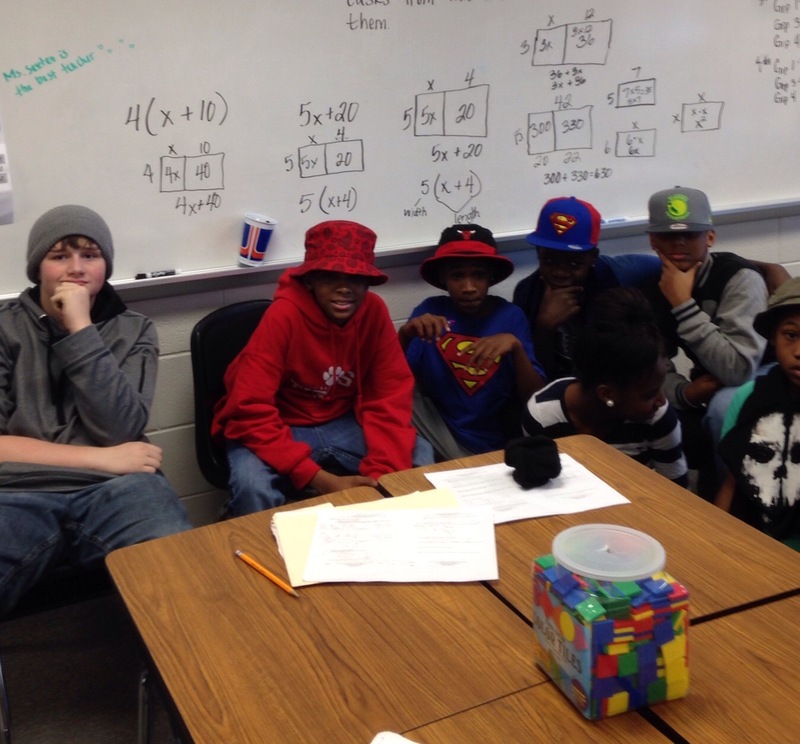 To know you are a part of molding thinkers and mathematicians brings great feelings of a job well done. You’re fighting for all the little guys and gals that others may have been unequipped to do so. 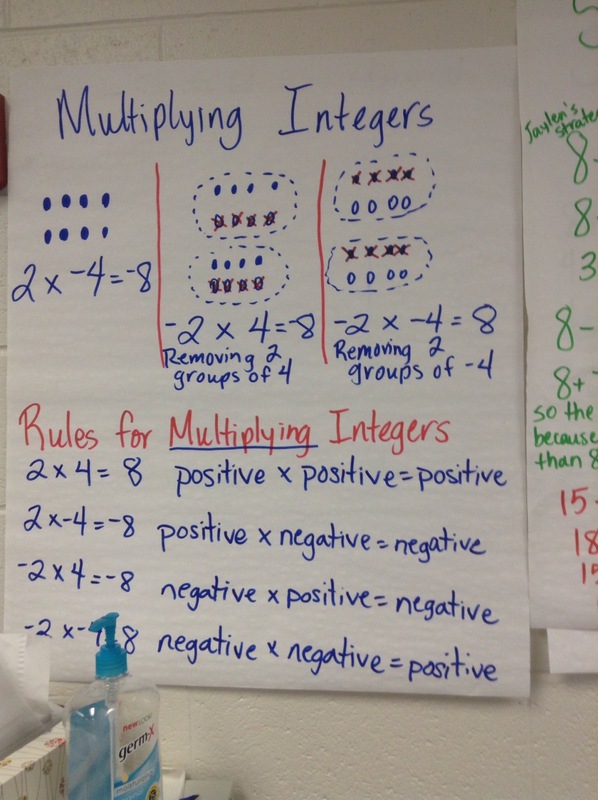 After conducting a number talk yesterday to discuss changing a fraction to a decimal, we as a class identified two strategies we could apply for this. One being, find an equivalent fraction with a denominator of 10 or 100 and the other divide the numerator by the denominator. We attempted to apply those strategies today bringing to light the old issue of being fluent with a procedure but not understanding why the procedure works. Me: actually, you can divide 5 by 6 and we are getting ready to do it. Me: Let’s think about what number we can multiply 6 by to 5. I inquired why do we need to add a decimal and zero and the only response given was, “Because you can’t divide 5 by 6.” Twenty minutes we spend on looking at numbers that would give us less than or just about 5. 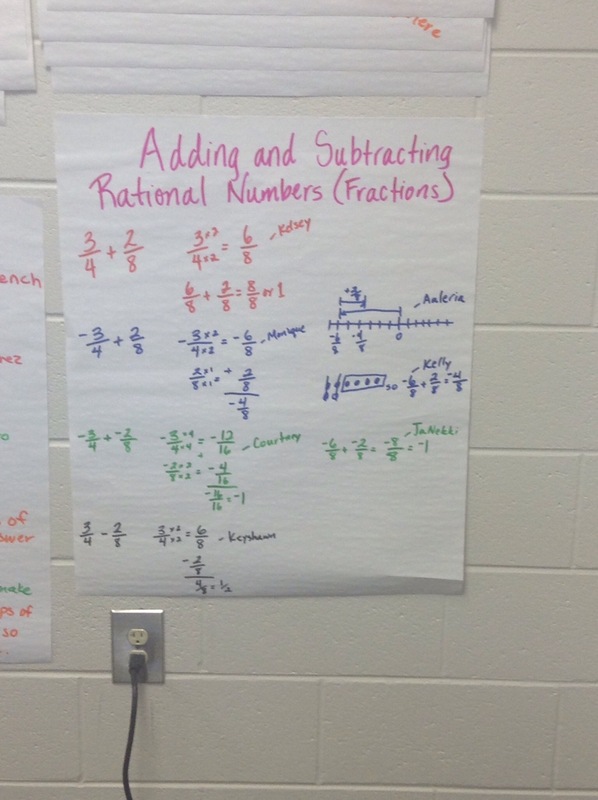 Many students lack the concept of fractions and decimals being part of a whole. 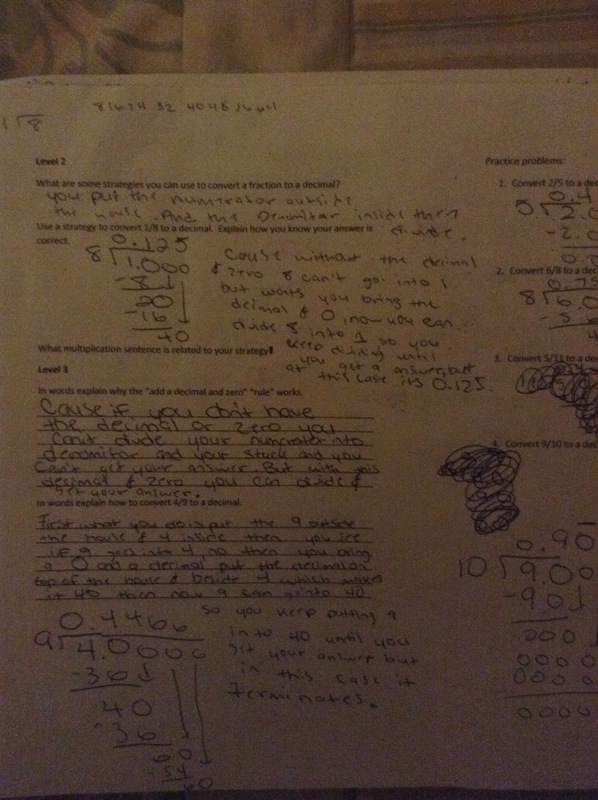 Some wouldn’t budge from their add a decimal and zero rule and in turn decided not to make sense of the quantities. I could tell there were many that had just checked out. Those bricks I was trying to help lay sat squarely on my chest. 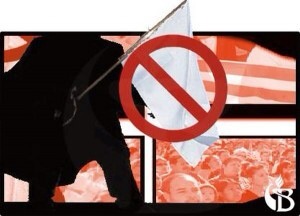 I put my hand on the white flag, grasped it tightly and had a private conversation with myself. Was it worth the struggle the students were facing as their rules of old were challenged? Was it worth the terrible feeling of knowing your students, a large majority of them, just weren’t getting it? I wanted to say, “yes, we just add the decimal and zero” and follow the steps of long division as I waved my white flag. I left work feeling defeated, conflicted, and lost on what to do. In deciding to go for a walk after having such a tough day, a song came to mind. “Started From the Bottom” by Drake which discussed his struggles coming up before making it big as a rapper. Then it hit me, start from the bottom, the basics and strategically work my way up to what number I could multiply 6 by to get 5. I’m working a bottom up lesson to implement tomorrow. I’m hoping this bottom up remediation approach will help students make the connection between the procedure and why it works.